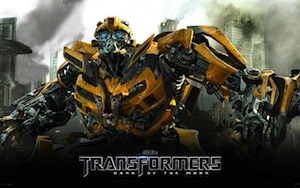 Bumblebee is an Autobot on the TV and movie series The Transformers. 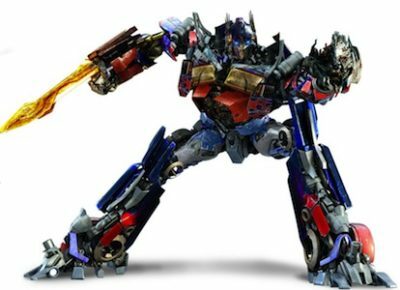 Bumblebee is younger than most of the Autobots, and lost his voice box thanks to Megatron during the Great War. 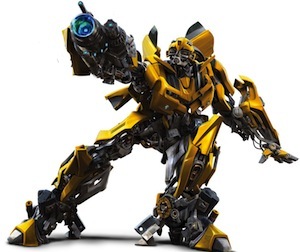 Bumblebee remains more playful than the other Autobots despite his lack of voice, and has come to rely on his speed as his most valuable asset in battle. 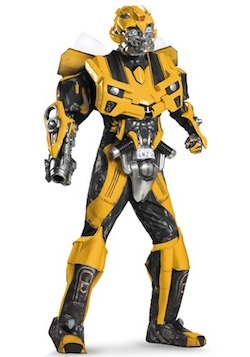 Bumblebee is extremely similar to his movie counterpart, sharing similar vehicle and robot forms, the same lack of voice, and his close relationship to a human boy. 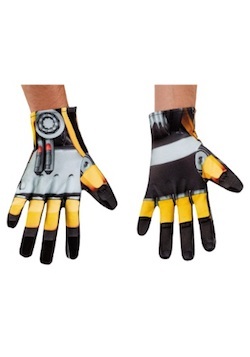 He’s been depicted in movies as a 1977 Chevrolet Camaro, 2006 Chevrolet Camaro concept/2009 Chevrolet Camaro / modified vintage 1967 Chevrolet Camaro SS/2014 yellow Chevrolet camaro concept. 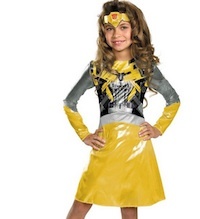 Below are some Bumblebee costume ideas for Halloween.